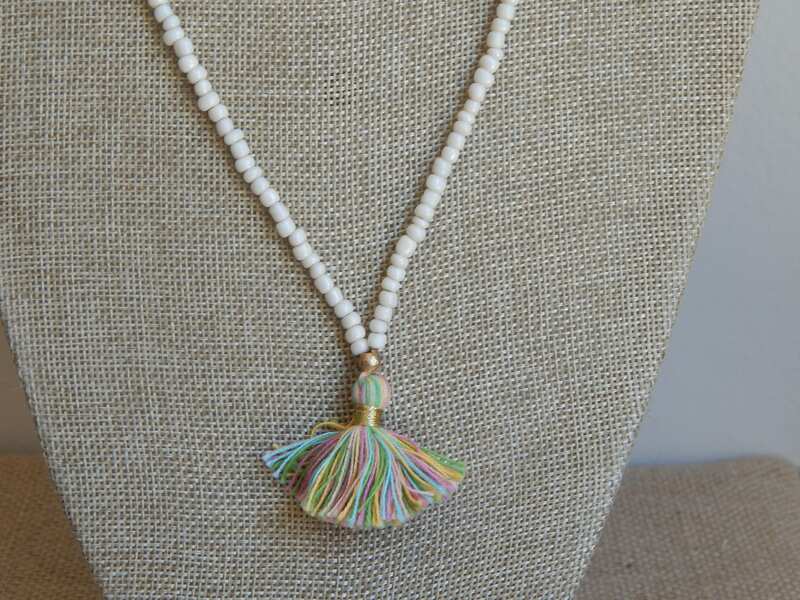 Glass seed bead necklace with colorful mini cotton tassel lends this necklace its yoga vibe. 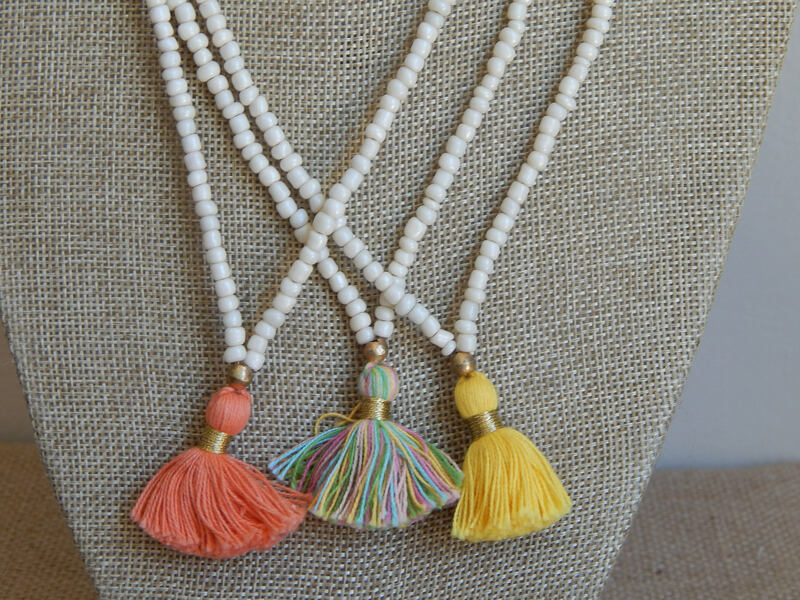 The cotton tassels come in a variety of colors makes this an easy layering piece. Necklace measures 32 inches long and tassel is an additional 1.25 inches. Choose from 10 colors from the drop down menu.